Jeremy Siegel has never lacked enthusiasm for the market. Even nine years into one of the strongest stock market recoveries in history, “this bull market is not over yet,” said Siegel, who has been a University of Pennsylvania finance professor since 1976. That should not come as a surprise. His 1994 book, “Stocks for the Long Run,” helped cement the conventional wisdom that stocks are a better bet for long-term investors than other popular investments such as bonds and gold. Siegel’s timing couldn’t have been better. A year after his book appeared, U.S. stocks went on an epic run. 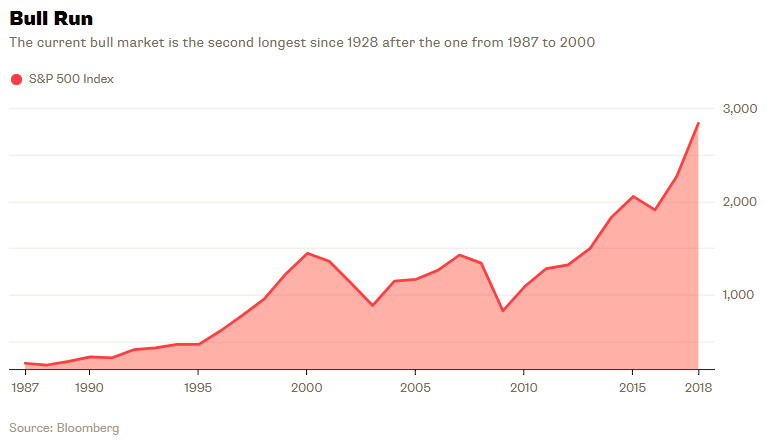 The S&P 500 Index more than tripled from 1995 to 1999. The stock market is at a record high. Investors are chasing a handful of hot stocks. Geopolitical tensions threaten to upend the rally. I’m referring, of course, to 1972. The S&P 500 Index closed at a record high of 119.12 on Dec. 11. 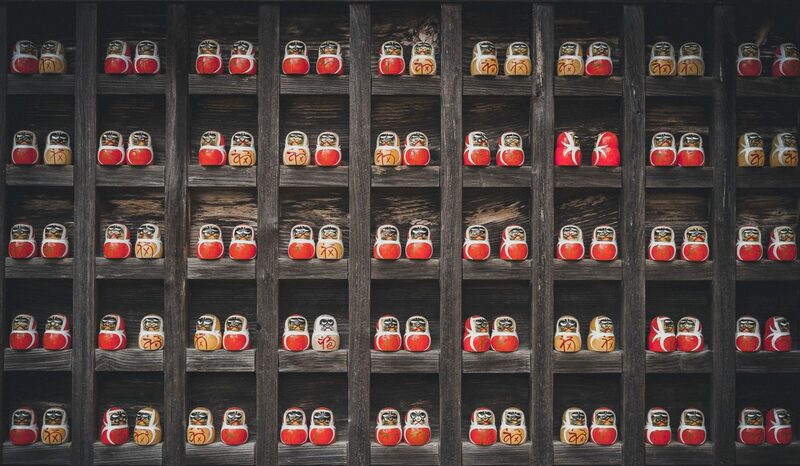 It was the height of the Nifty Fifty (not to be confused with the Nifty 50 Index of India stocks), the idea that investors needed only to buy 50 of the most popular growth stocks and hold them forever. Low volatility is great, but it doesn’t mean investors should pay more for stocks. It’s been an unusually quiet time for U.S. equity markets. 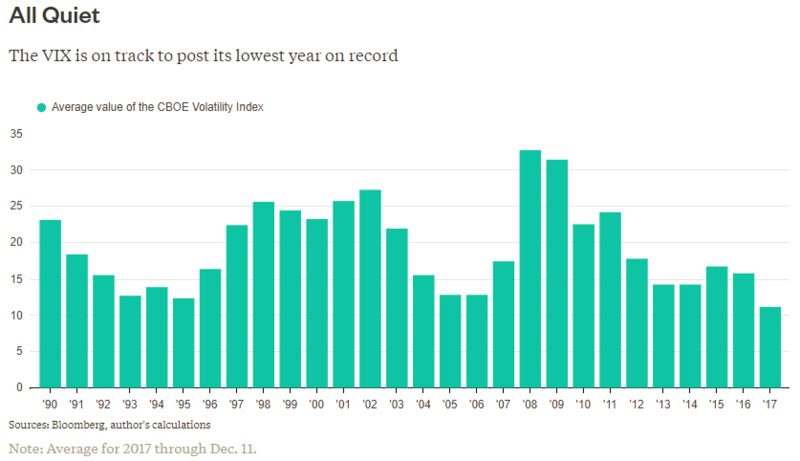 Stock watchers’ favorite barometer of volatility, the CBOE Volatility Index, or VIX, has averaged just 11.1 so far in 2017 through Monday, making it the calmest year on record. (The lower the VIX, the lower the volatility, and vice versa.) 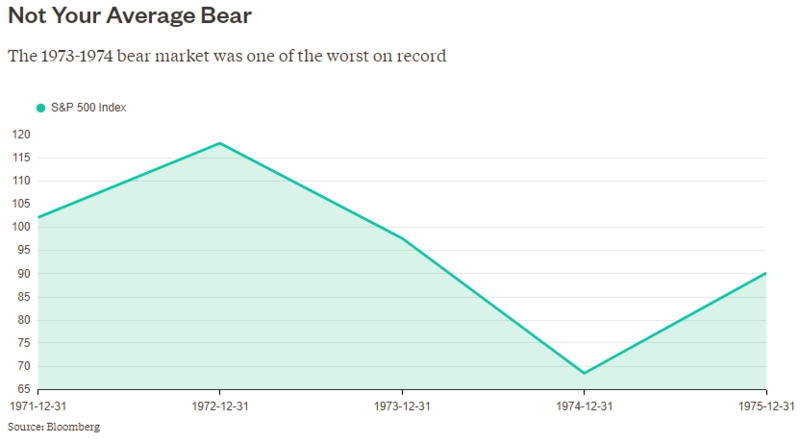 The gauge has averaged 19.4 since its inception in 1990. Yes, markets have beaten up everyone so far this year. Investors are looking for answers and struggling to identify a culprit — just read the headlines. According to my Bloomberg colleagues, some observers are even beginning to wonder whether a repeat of the nightmarish 2008 meltdown is underway. All of this sudden soul-searching is odd. Overseas markets have been in turmoil for much of the last two years. The MSCI EAFE Index returned a negative 4.5 percent to investors in 2014 and a negative 0.4 percent in 2015. The MSCI Emerging Markets Index returned a negative 1.8 percent and a negative 14.6 percent, respectively, over the same period. There hasn’t been much confusion over the declines overseas, and for good reason: the troubles are well known. China is slowing and a hard landing is not out of the question. Europe is struggling to stimulate growth. Geopolitical tensions are high. Energy prices have collapsed, devastating regions that are heavily dependent on energy production and export. Overseas markets have repriced to reflect these risks. There is one recent and significant change: U.S. markets are now in the process of repricing, too. Until this year, the U.S. had thrived while investors took a wary view of overseas markets. The S&P 500 Index returned 13.7 percent to investors in 2014 and 1.4 percent in 2015. Investors seemed to view the U.S. as an island of prosperity, unaffected by overseas risks, but in a globalized economy thinking that way is a fantasy. Jeremy Grantham, an astute investment strategist, recently raised doubts about American exceptionalism in such areas as health care and education. But as my Bloomberg News colleagues noted in an article about Grantham’s concerns, the U.S. has managed to maintain its exceptionalism in at least one category – making money. 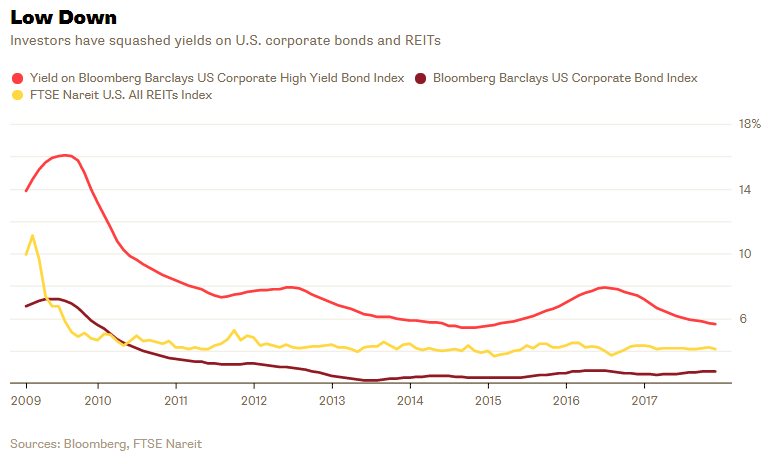 Corporate America has been handsomely profitable since the financial crisis that erupted in 2008, outstripping the performance of overseas competitors. The earnings per share of U.S. companies, as represented by the S&P 500 Index, have grown by 105 percent since 2008. 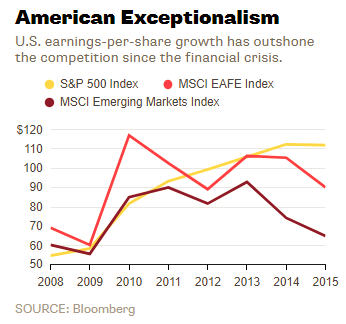 In the developed world outside the U.S., as represented by the MSCI EAFE Index, earnings per share have grown by 30 percent over the same period. In emerging markets, as represented by the MSCI Emerging Markets Index, earnings per share have grown by 8 percent over the same period. Such success was hardly a forgone conclusion seven years ago. At the height of the financial crisis, the survival of many U.S. companies – to say nothing of their future profitability – was in doubt. By contrast, emerging markets were lauded for their growth and comparatively low levels of debt.